Not all titles listed on our website are available in-store. You can call to confirm that a book you're looking for is available at our store by calling 773-769-9299. Email or call for price. Historian and Pulitzer Prize-winning author Barbara Tuchman has brought to life again the people and events that led up to World War I. With attention to fascinating detail, and an intense knowledge of her subject and its characters, Ms. Tuchman reveals, for the first time, just how the war started, why, and why it could have been stopped but wasn't. 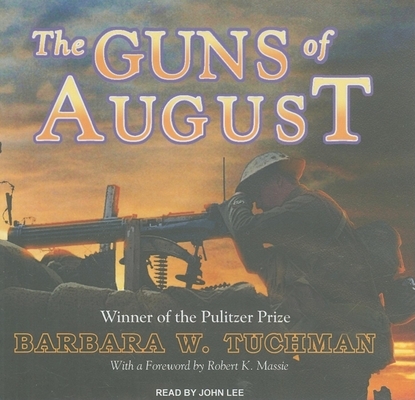 A classic historical survey of a time and a people we all need to know more about, The Guns of August will not be forgotten. Barbara Tuchman (1912-1989) was an internationally acclaimed historian who received the Pulitzer Prize for her works "The Guns of August" and "Stilwell and the American Experience in China." British narrator John Lee has read audiobooks in almost every conceivable genre, from Charles Dickens to Patrick O'Brian. He has won numerous Audie Awards and "AudioFile" Earphones Awards, and he was named a Golden Voice by "AudioFile" in 2009. Copyright © Women & Children First, Inc.